Whether it’s thanks to podcasts, streaming series, or Stranger Things, the world of Dungeons & Dragons is being demystified for those who thought it was all cumbersome rules and statistics. There’s also been a conscious effort from Wizards Of The Coast, which acquired TSR in the late ’90s, to fling open the door for the more casual tabletop player, or even just someone who’s really into podcasts. Take new sourcebooks like Xanathar’s Guide To Everything or Volo’s Guide To Monsters—they have a treasure trove of info, but the layouts are designed to nudge the reader forward with every page, making for more recreational reading than ever. 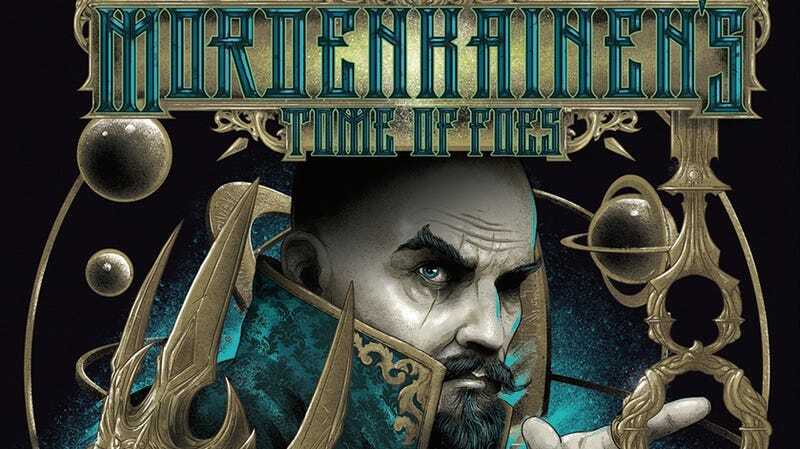 The latest sourcebook from Wizards, Mordenkainen’s Tome Of Foes, is very much in this new style. It has elements of a monster manual and a player’s handbook, but with Volo-esque asides that connect the the info and flesh out D&D lore. Here, the “guide” is Mordenkainen, a renowned wizard and one of the oldest characters in the game. His powers and history have given him all kinds of insights, which he generously imparts in this new book, along with some background on some of the deepest-running enmities in the game. The A.V. Club has a preview of Tome Of Foes, including some gorgeous artwork, as well as new info on tiefling subraces and “hooks” to improve your dwarf character-building. Mordenkainen’s Tome Of Foes was shared with select podcasters early, to give them a chance to up their game and viewing experience. It’s available in hobby stores on May 18, but in addition to this preview, The A.V. Club is giving away two copies of this book (for use with fifth edition). To enter for a chance to win one, email avcontests@theonion.com with the subject line “Tome Of Foes.” Be sure to include your name and mailing address in the body of the email. U.S. entrants only. On Friday, May 18, we’ll select two winners from our eligible entries and notify them shortly thereafter.